From the CIA’s funneling of over a billion dollars to Islamic militants in the 1970s war in Afghanistan against the Soviet Union to the billion dollars spent on training and equipping the radical jihadists currently fighting in Syria, the United States has repeatedly empowered extremists who have filled the vacuums of failed states it created. The extremists have turned with a vengeance on their sponsors. Washington’s fueling of these conflicts was directly responsible for the rise of figures such as Ayman al-Zawahiri and Osama bin Laden and ultimately laid the groundwork for the 9/11 attacks. It also spawned the rabid Islamophobia in Europe and the United States that defines Trump’s racist worldview and has been successfully used to justify the eradication of basic civil liberties and democratic rights. The mandarins of national security, rather than blunt the rise of radical jihadism, have ensured its spread across the globe. The architects of this imperial folly have a symbiotic relationship with those they profess to hate. The two radical extremes—the interventionists in the national security apparatus and the radical jihadists—play off of each other to countenance ever-greater acts of savagery. The more perfidious your enemy, the more your own extremism is justified. We are locked in a macabre dance with the killers we created and empowered, matching war crime for war crime, torture for torture and murder for murder. This unrestrained violence has a dark momentum that escapes management and control. It exacerbates the very insecurity it claims to be attempting to eliminate by constantly creating legions of new enemies. The binary view of the world imagined by right-wing ideologues such as Richard Pipes during the Cold War, defined as a battle to the death against godless communism, has been reimagined by Israeli Prime Minister Benjamin Netanyahu and American neocons such as Mike Pompeo, John Bolton, Fred Fleitz, Robert Kagan, Steve Bannon, William Kristol, Paul Wolfowitz and Donald Rumsfeld and leaders of the Christian right including Gary Bauer and William Bennett to become a battle to the death between the “barbarity” of Islam and the “civilized” ethic of the Judeo-Christian West. It is a rebranding of the Cold War, so useful to the retrograde forces of capitalism in crushing popular dissent and so profitable to the arms industry. Its most prominent voices are a bizarre collection of neofascist ideologues and quack conspiracy theorists such as Bannon, Sean Hannity, Stephen Miller and Pam Geller, who claims that Barack Obama is the love child of Malcolm X. This ideology, like the ideology of anti-communism, erases not only history but context. Those who oppose us are removed from the realm of the rational. They are seen as incomprehensible. Their hate has no justification. They are human embodiments of evil that must be eradicated. They despise us for our “values” or because they are driven by a perverted form of Islam. The failure, as Blumenthal writes, to place these conflicts in context, to examine our own complicity in fueling a justifiable anger, even rage, dooms us to perpetual misunderstanding and perpetual warfare. Our response is to employ greater and greater levels of violence that only expand the extremism at home and abroad. The methods used on a wary public by the national security state, especially the FBI and the intelligence agencies, to justify and advance these wars are increasingly unsavory. Muslims, many suffering from emotional and mental disabilities, are baited by law enforcement into “terrorist” plots that few of them could have conceived or organized on their own. The highly publicized arrests and quashing of these nascent “terrorist plots” exaggerate the presence of radical jihadists within the country. They keep fear at a fever pitch among the U.S. population. Trevor Aaronson, the author of “Terror Factory: Inside the FBI’s Manufactured War on Terror,” found that nearly half of all terror prosecutions between Sept. 11, 2001, and 2010 involved informants, including some with criminal backgrounds who were paid as much as $100,000 by the FBI. The radical jihadists have long expressed a desire to extinguish democratic space in the West. They are aware that the curtailment of civil liberties, evisceration of democratic institutions, especially the judicial system, and overt hatred of Muslims push Muslims in the West into their arms. Such conditions also increase the military blunders of the United States and its allies abroad, providing jihadists with a steady supply of new recruits and failed states from which they can operate. The jihadist strategy is working. In the year before the 2016 presidential election, violence against Muslims in the United States soared, including shootings and arson attacks on mosques. Public disapproval of Muslims, according to opinion polls, is at a record high. The Democratic Party, signing on to the forever crusade by the national security state in the name of humanitarian intervention, is as complicit. The Obama administration not only accelerated the sting operations in the United States against supposed terrorists but, in its foreign operations, increased the use of militarized drones, sent more troops to Afghanistan and foolishly toppled the regime of Moammar Gadhafi in Libya, creating yet another failed state and safe haven for jihadists. The radical jihadists, in an irony not lost on Blumenthal, are often deliberately armed and empowered by the U.S. national security apparatus, along with Israel, as a way to pressure or remove regimes deemed antagonistic to Israel and the United States. Obama’s secretary of state, John Kerry, in audio leaked from a closed meeting with Syrian opposition activists, admitted that the U.S. had used Islamic State as a tool for pressuring the Syrian government. He also acknowledged that Washington’s complicity in the growth of IS in Syria was the major cause for Russian intervention there. In a 2016 op-ed titled “The Destruction of Islamic State Is a Strategic Mistake,” Efraim Inbar, the director of the Begin-Sadat Center for Strategic Studies, argued that “[t]he West should seek the further weakening of Islamic State, but not its destruction.” He said the West should exploit IS as a “useful tool” in the fight against Iran and its proxy, Hezbollah. Israel seeks to create buffer zones between itself and Hezbollah in southern Lebanon. It sees its neighbor Syria, because of its alliance with Iran, as a mortal enemy. The solution has been to cripple these traditional enemies by temporarily empowering radical Sunni jihadists and al-Qaida. There are numerous reports of Israel, along with the United States, using its aircraft and military in Syria to aid the very jihadists Washington and Jerusalem claim to want to wipe from the face of the earth. “Joining with the dead-enders of Hillary Clinton’s campaign, who were desperate to deflect from their crushing loss, the mandarins of the national security state worked their media contacts to generate the narrative of Trump-Russia collusion,” Blumenthal writes. “Almost overnight, hundreds of thousands of liberals were showing up at postelection rallies with placards depicting Trump in Russian garb and surrounded by Soviet hammer-and-sickle symbols,” Blumenthal writes. The FBI and the intelligence community, organizations that have long spied upon and harassed the left and often liberals, became folk heroes. NATO, which was the instrument used to destabilize the Middle East and heighten tensions with Russia because of its expansion in Eastern Europe, became sacrosanct. “In its obsession with Moscow’s supposed meddling, the Democratic Party elite eagerly rehabilitated the Bush-era neoconservatives, welcoming PNAC [Project for the New American Century] founder William Kristol and ‘axis of evil’ author David Frum into the ranks of the so-called ‘resistance,’ ” Blumenthal writes. Those in the alternative media who question the Russia narrative and chronical the imperial disasters are in this new version of the Cold War branded as agents of a foreign power and hit with algorithms from Google, Facebook, YouTube and Twitter to deflect viewers from reading or listening to their critiques. Politicians, such as Bernie Sanders and Labour Party leader Jeremy Corbyn, who push back against the war lust are smeared with the same nefarious charge. It is, as Blumenthal writes, a desperate bid by the war industry and the interventionists to mask the greatest strategic blunder in American history, one that signals the end of American hegemony. The corporate state, its legitimacy in tatters, seeks to make us afraid in order to maintain its control over the economic, political and military institutions. It needs mortal enemies, manufactured or real, at home or abroad, to justify its existence and mask its mismanagement and corruption. This narrative of fear is what Antonio Gramsci called a “legitimation doctrine.” It is not about making us safe—indeed the policies the state pursues make us less secure—but about getting us to surrender to the will of the elites. 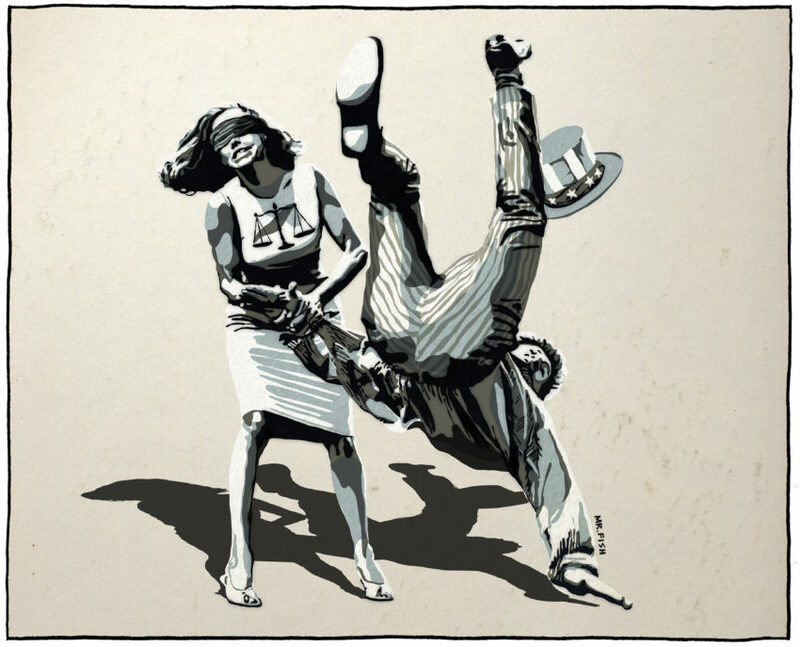 The more inequality and injustice grow, the more the legitimation doctrine will be used to keep us cowed and compliant. 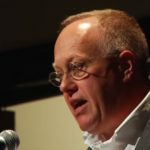 *Chris Hedges spent nearly two decades as a foreign correspondent in Central America, the Middle East, Africa and the Balkans. He has reported from more than 50 countries and has worked for The Christian Science Monitor, National Public Radio, The Dallas Morning News and The New York Times, for which he was a foreign correspondent for 15 years. 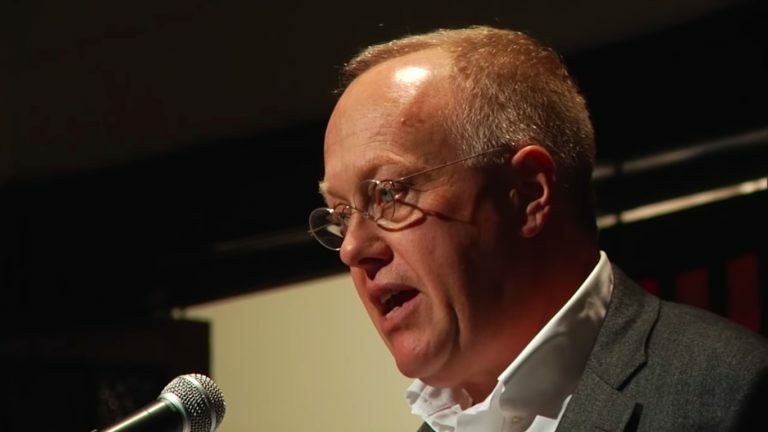 Hedges was part of the team of reporters at The New York Times awarded a Pulitzer Prize in 2002 for the paper’s coverage of global terrorism.